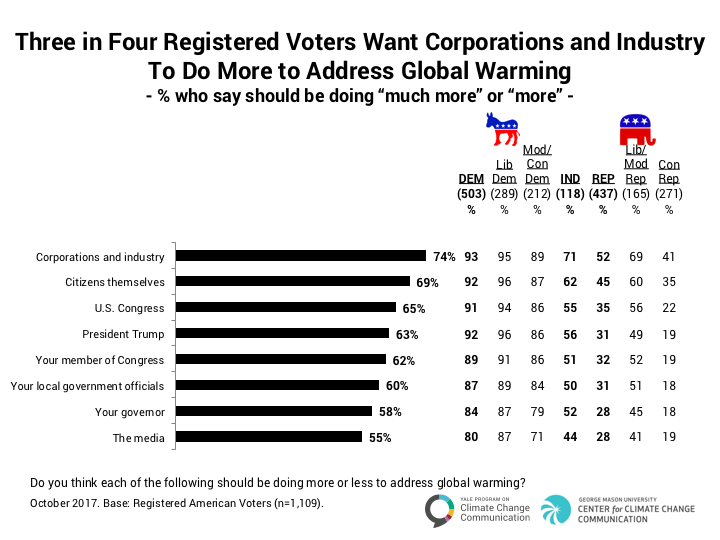 Across party lines, a majority of registered voters say corporations and industry should do more to address global warming (74% of all registered voters; 93% of Democrats, 71% of Independents, and 52% of Republicans). Half or more of registered voters, including Democrats, Independents, and liberal/moderate Republicans, but not conservative Republicans, think citizens, the U.S. Congress, their own member of Congress, or their local government officials should do more to address global warming. Half or more Democrats and Independents think President Trump and their governor should also do more, and most Democrats think the media should do more. 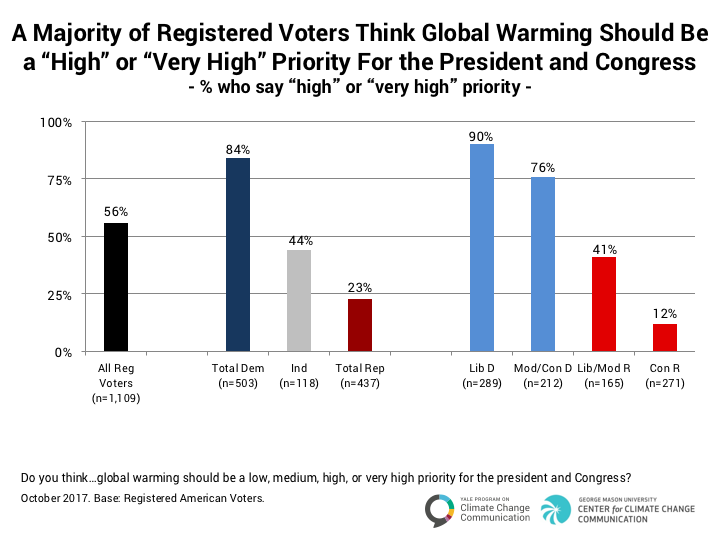 A majority of registered voters (56%) think global warming should be a high or very high priority for the president and Congress, including more than four out of five Democrats (84%), but fewer Independents (44%) and Republicans (23%). Liberal Democrats are more than seven times more likely than conservative Republicans to think global warming should be a priority (90% versus 12%, respectively).